The Liberties is one of Dublin’s oldest neighbourhoods and for Amy Sergison, it’s part of her family history. She revisited the area to explore its evolution. The Liberties is one of Dublin’s oldest neighbourhoods having been around in one way or another since the 12th century. In my memory, this is where my nana lived and my Dad grew up. I have very fond memories of visiting my nana on Basin Street. We would know we were close in the car, even if our eyes were closed because we could smell the hops from Guinness. I remember Greta’s shop (sadly gone today), where the floor sparkled like diamonds and jars filled with sugar barley stood tall on top of glass counters filled with treats. I’m sure there were essentials like bread, milk and lightbulbs but I had eyes only for the sweets. Coming back today, so much has changed, but so much is still the same. The Liberties is still full of the same distinctive atmosphere and its cast of charming characters remains in place, albeit with a few more hipsters in the chorus. This is the real Dublin – historic yet still modern and a bit rough around the edges. There are tourist staples to be seen – the Guinness Storehouse, Christchurch and St. Patrick’s Cathedral – but alongside them, new distilleries, markets, cool pubs and hip cafés now sit comfortably. 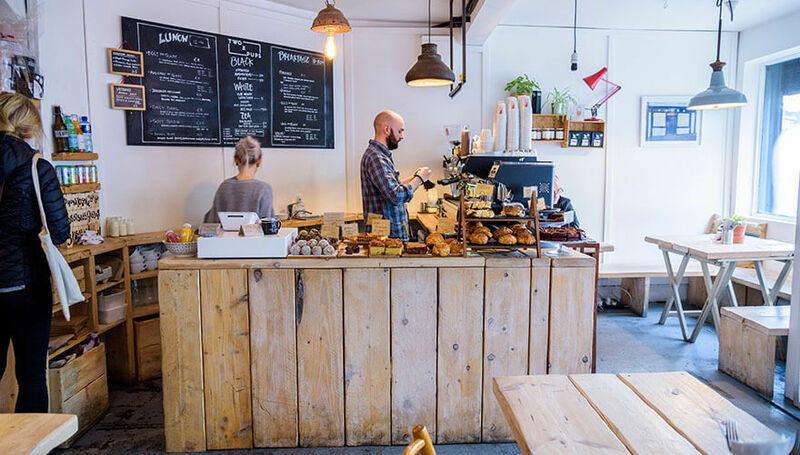 If you can’t function without your morning coffee or that millennial favourite, avocado toast, look no further than Two Pups Coffee on Francis Street. This spot is living up to its hype – serving rich coffee, delicious food and hosting yoga classes upstairs, in case you’re feeling flexy after your caffeine fix. The Liberties have obvious connections to brewing through Guinness but the area’s links to distillation may be less well known. The Teeling distillery, now located in New Market Square has links to the area since the 18th century when it was part of Dublin’s Golden Triangle. Today, they pride themselves on blending the science of distillation with the art of cask selection to create whiskey worthy of the area’s heritage. Distillery tours run daily from 10am – 5:40pm. The most recent addition to the area’s distilling culture is the Pearse Lyons distillery. Transforming the former St James’ Church, its glass steeple and bespoke stained glass windows alone are worth a visit. Tours here run on the hour and they also offer more intimate experiences like whiskey and food pairing and cocktail experiences. The Liberties is a haven for those who want to shop locally. The famous Liberty Market has been around since 1973 and is known for its “real bargains and real people”. The buzz in there is unlike anywhere else in the city. The stallholders vary from permanent fixtures to recent immigrants. Each of them has a smile for every customer and a story to tell. Beside The Teeling’s distillery on new Market Square is the Green Door Market and Dublin Food Co-Op, which provide Dubs with fresh locally grown produce and tasty street food. On Patrick’s Street, Jam Art Factory give Irish artists a platform, selling everything from prints to jewellery and ceramics. After a busy day exploring the Liberties’ distilleries and markets, there is no better place to wind down than Lucky’s bar. Lucky’s has a great selection of craft beers and delicious wood-fired pizza, courtesy of Coke Lane Pizza. There’s a beer garden to make the most of those rare sunny Dublin days and DJs to send you bopping into the night on the weekends. 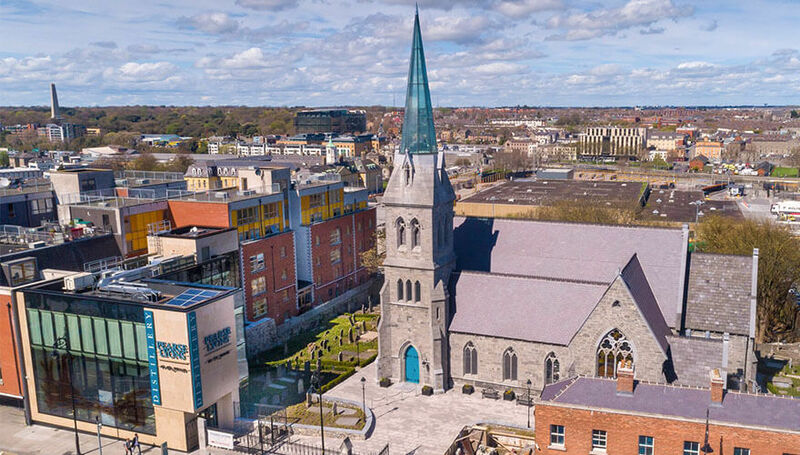 The Liberties has changed a lot but what’s new isn’t taking away from the area’s unique character. Instead, it’s enhancing it. There is one thing I’m glad hasn’t changed though… You can still smell the hops from Guinness when the wind is blowing the right way.